It happened one sunny spring afternoon whilst idling an hour in Stanfords – my favourite bookshop. If the endless shelves of maps, atlases, guides, travelogues and globes in Stanfords can’t inspire you to travel nothing will; for me it’s a dangerous place that prods me into having mini adventures when I should be doing something more responsible. So, true to form, I found a map in Stanfords and a few days later was walking across northern England with it in hand. Having done it, I’d strongly recommend anyone not to attempt Wainright’s Coast to Coast walk on a whim the way I did it. Better by far the now-common practice of booking B&Bs in advance than staggering around fells, exhausted and famished, looking for a campsite that no longer exists. That said, if I’d done it the sensible way, serendipity would never have had me stumble upon Low Gillerthwaite and its stunningly dark skies. 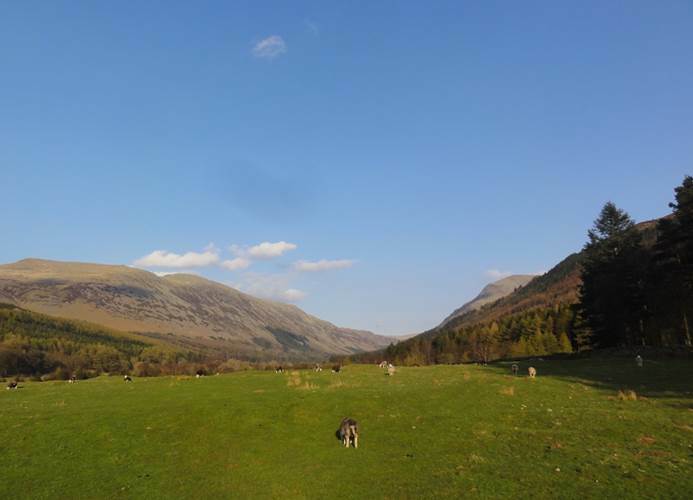 There I was one evening in April, tired and footsore, low sun getting ever lower, looking for Ennerdale youth hostel. Having started in St Bees many hours before, I was distinctly weary when I finally tripped my way into the Lake District along the rocky shore of Ennerdale Water. So when a cheery voice, announcing itself as ‘Walter’, told me that if I was looking for the hostel then I’d found it, I was ready to call it a day. As it turned out, the idyllically located cluster of buildings I’d found, quite by accident, weren’t the YHA at all. 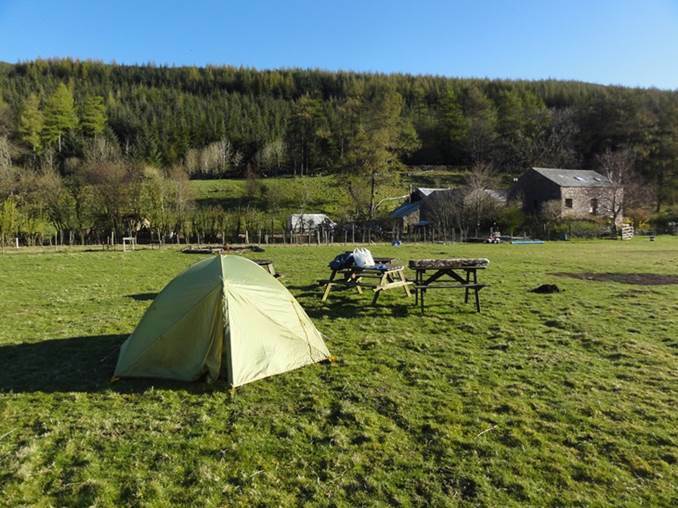 But as I set up my tent in a field surrounded by forested mountainsides under perfectly clear skies, I realised Low Gillerthwaite Field Centre was a lucky mistake for me. Walter and his wife Ellen Cloete are wardens for the Low Gillerthwaite Field Centre Association which runs the Centre as a private hostel focused on ‘promoting the enjoyment and understanding of the environment by people of all ages’. The Centre has its own micro-hydroelectric scheme and Walter maintains the farming tradition of the Centre by running a small holding with minimal carbon footprint. Walter showed me around, enthusing about the hostel’s many innovative low-carbon technologies, both low and high tech. The biomass heating unit was certainly interesting, the farm animals cute and entertaining and the fresh eggs delicious, but Low Gillerthwaite’s special appeal for me wasn’t apparent until much later in the evening. Climbing out of my tent in Low Gillerthwaite’s field around Midnight, I was stunned by the skies. My home in South Lakes has reasonably low light pollution, but here, just an hour’s drive away, was a proper dark sky site. Even late in the season, the myriads of faint stars had me struggling to identify constellations for a moment or two. I ended up getting frozen, craning up into the frost in my grundies and wishing I’d brought a decent camera. Skies this good, especially surrounded by the silhouettes of crags and forest, still have a real ‘wow’ factor that’s impossible to overstate. Next morning I met John Grocott who runs astronomy courses at Low Gillerthwaite. John, a fellow Earth Scientist (though a much more august one than me), explained that those dark skies I’d witnessed are in fact recognised as a Dark Sky Discovery Site, which John is developing and expanding together with fellow member Malcolm Morris. 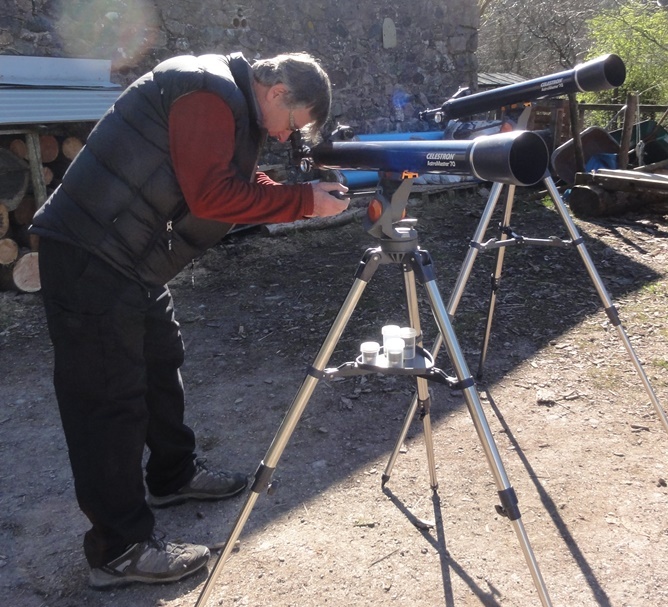 John was busy setting up scopes ready for that evening’s course - for a party of disadvantaged families from Liverpool who had never seen mountains before, let alone a star-strewn dark sky and planets Jupiter and Venus through a telescope. I’ll be going back to Low Gillerthwaite in the autumn, this time armed with a tripod, a DSLR and a fast lens. Those skies, set among mountains, forests and lake, make for an ideal location for landscape astrophotography. I can’t think of anywhere else in England offering the same combination. 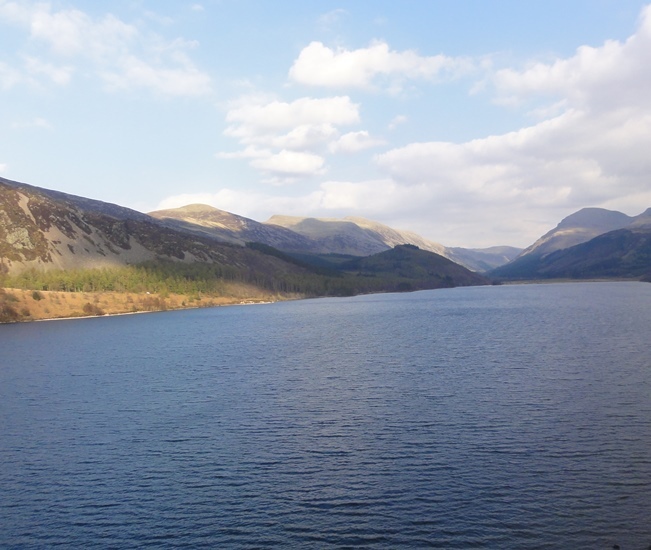 Of course, you could equally well bring a full imaging rig (there’s loads of space to set up and the centre is easily accessed by road along the north shore of Ennerdale Water, even though it’s quite remote). Even if the weather spoils, you’ll enjoy the hospitality and delicious farm-fresh eggs for breakfast. Low Gillerthwaite accepts group bookings too. See you there.